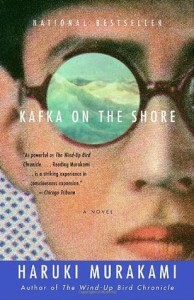 Haruki Murakami’s Kafka on the Shore tells two stories that find their way together: Kafka Tamura, a fifteen-year-old runaway, seeks to either escape or collide with a childhood prophecy and to find the female half of his family, and Mr. Nakata, an older man who suffered a childhood accident that left him with a simple mind and the ability to talk to cats, begins a journey marked by dreamlike encounters and fish raining from the sky. Slowly these stories wind and connect, with just the right amount of absurdities and visits to a vivid memory-powered dreamworld. When Kafka lands a position and a place to stay at an old, private library, he is befriended by the androgynous, philosophical Oshima, and finds himself drawn to the reclusive and elegant head librarian, Miss Saeki, who harbors a tragic love story and secrets painted and sung into delicate chords of the past. Kafka on the Shore spills over with beautiful sentences, and I found all these lyrical lines especially fitting to the story’s atmosphere, which laps the shore of unreality just as it sings the dissonance of all-too-real painful memories and personal, private destinies. I was completely captured by these characters, each adrift on their own odyssey, in need of another’s tide to pull them in. 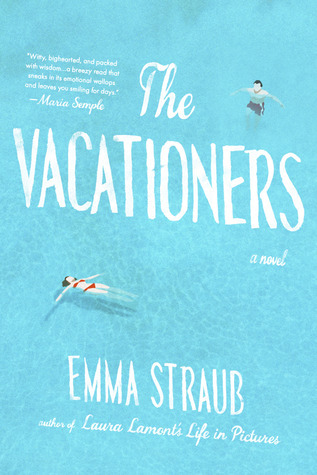 Not a whole lot happens in The Vacationers by Emma Straub, which is fitting. 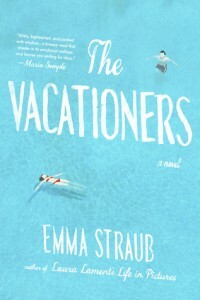 Rather, this novel puts its focus on the members of the Post family, who take a trip to Mallorca, Spain for a two-week vacation and break from normal life. Of course, each character is concealing something or caught in a tough spot, all which will rise to the surface during their stay in Spain. Franny and Jim, married for 35 years, must confront the recent ripple that has disturbed their still waters. Sylvia, in her last summer before leaving for college, must ask herself who she wants to be and what she’s looking for. Bobby, in tow with his older girlfriend no one else in the family seems to like, must face questions of commitment. And Franny’s best friend Charles and his husband Lawrence are waiting for the phone call that will change their lives. The family dynamics and setup of this story reminded me a little of Zadie Smith’s On Beauty, although less developed. The thing with character studies is they must be executed well to maintain long-term investment. But because the vibe of The Vacationers is lighter, the investment is also such. Still, I did enjoy the wry humor sprinkled throughout, and the slow build of resolve must have worked a little, because I did feel more attached to the characters and their stories by the end than I did when their trip began. 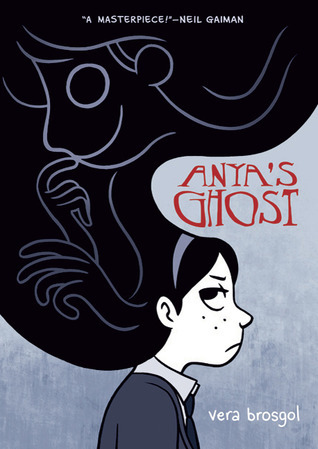 Anya’s Ghost is an interesting twist on the ghost story, unfolding in Vera Brosgol’s cool greyscale illustrations. When Anya falls down a well on her way to school one morning, she ends up connected to the ghost of a girl from long ago who tries to help Anya overcome her shyness and snag the boy she has a crush on. But her new friend’s “helpfulness” creates a spookier scenario than what Anya could have foreseen. This story seems to present itself to a younger audience, but with mature context. I was intrigued enough by the story and appreciate graphic novels that present a more paired-down drawing style over a busier layout. However, I wasn’t overly attached to the story, either. Overall, Anya’s Ghost is an interesting concept and certainly adds a layer of creepiness to an otherwise ordinary tale of a teen misfit looking for a way to belong. 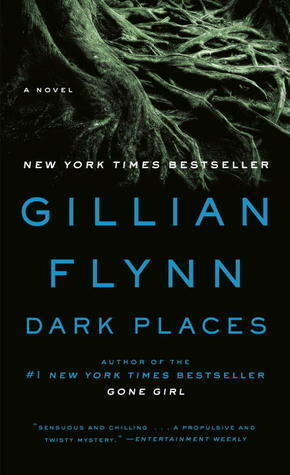 Gillian Flynn’s Dark Places is aptly titled to say the least. A tragic set of murders leaves Libby Day without much of a family, and her own brother in prison for his alleged crimes, which little Libby’s testimony confirmed. Over twenty years later, Libby stumbles into the middle of the Kill Club, a group obsessed with unsolved mysteries (and her brother Ben’s innocence). Libby has to ask questions that haven’t been answered before. Back-and-forth chapters between past and present gradually unfold the truth of that cold, dark day in 1985. 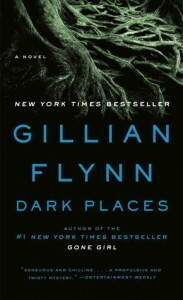 While the subject matter gets gritty, again I was hooked by Flynn’s storytelling. The central mystery is a compelling unraveling, with nearly every character seeming a suspect for something as several pieces of the plot work their way together. I read the whole thing absorbed in anticipation; however, if I have nightmares now it’s my own fault for reading this book. let’s review: is everyone hanging out without me? Is Everyone Hanging Out Without Me? is a lighthearted look into Mindy Kaling’s life and her inner dialog on everything from culture clashes and childhood as a chubster to good comedy, relationships and Hollywood aspirations. While Kaling keeps things light and humorous in her various observations, perhaps one of her more telling moments recalls her teenage realization to not overlook the true friend for the expected but less fulfilling ones. She also shares honestly about the road to becoming a writer and actress, starting out “terrible at everything” in NYC but sticking to her own jokes, her own style, working hard and eventually turning a Ben Affleck impersonation into a turning point of opportunity. Behind the scenes at SNL and The Office add an interesting peak into the comedic TV world Kaling finds herself in. While I found some of her quips and musings to feel too random or insubstantial at times, overall I did enjoy this spirited glimpse into a funny female’s corner of the world. 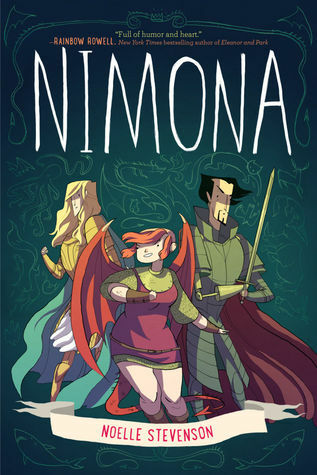 Nimona is a fun, clever, and colorfully drawn story of a well-meaning supervillain, Lord Ballister Blackheart, and his new shapeshifting sidekick, Nimona, a young girl with an impatient craving for mischief and adventure. With some shady business going down at the Institute of Law Enforcement and Heroics, this unlikely team pairs up to fight back. But Ballister’s complicated past with the kingdom’s frontrunner, Sir Ambrosius Goldenloin, and Nimona’s mysterious origins prove to make their vengeful/heroic mission a bit trickier to accomplish. With Noelle Stevenson’s delightfully unique illustrative style, amusing characters and chuckle-worthy lines, plus science, magic, and sharks, Nimona is a new little gem of the graphic novel world. 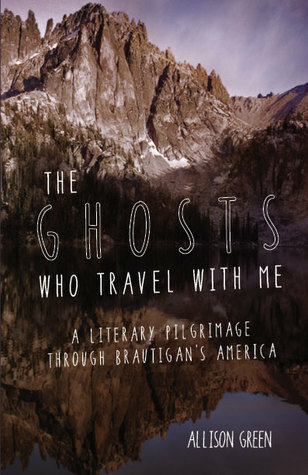 In her literary pilgrimage-centered memoir, The Ghosts Who Travel with Me, Allison Green explores the landscapes of Richard Brautigan, the author who impacted her most, as well as her own landscape of ancestry and personal histories. Following the path of Brautigan’s best known novel, Trout Fishing in America, Green and her partner Arline road trip from Washington to Idaho, retracing the steps of Brautigan’s narrator, who travels with a family much like his own, lending the Trout Fishing fiction an autobiographical lens. Not familiar with Brautigan myself—(born too late, to reference Green’s recognition of Brautigan’s initially generational fame)—I became familiar with the voice of an author I have not read: his succinct, metaphorical and satirical writing style, often contrasting the great outdoors with American materialism and culture (“a creek is narrow like a line of telephone booths, and another is like a department store”). In many cases, his narrative distance is somehow right up next to the nearness of his words. The romantic reader in me hoped for a bigger build, a strong sense of author attachment laced with a bit of mystery, perhaps, all leading up to a defining burst of recognition. However, the author herself is aware she’s “more interested in sentences and paragraphs than in narrative momentum.” As a reader, I can be very patient, content with quiet narratives that follow language more than plot. Admittedly, though, sometimes I want both. Still, The Ghosts Who Travel with Me is a worthwhile wandering along a reader’s road, stopping along the way to consider what we leave behind, and what holds lasting power enough to remain with us. I finally read a full-length Murakami and I’m not sure why I didn’t read one sooner. All the rumors are true: Murakami spins out incredibly inventive stories with radical writing and mind-bending musings, leaving the reader with the fuse of his idea-bulbs still burning bright. In Hard-Boiled Wonderland and the End of the World, an ambidextrous-brained high-tech data processor, the unnamed narrator, is taken to a subterranean headquarters in the flipside of Tokyo to complete a top-secret data-scrambling mission for an old neurophysiology professor. What follows is a wildly imagined, vividly dreamy trip down a rabbit hole of unicorn skulls, dreamreading, hungry librarians, shadow separation, Bob Dylan staring at the rain, and the quest for a satisfied mind. 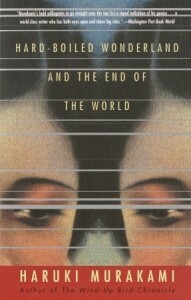 Hard-Boiled Wonderland and the End of the World explores themes of duplicity and reckoning with back-and-forth possibilities and wholly innovative narratives that are so bizarre yet altogether lovely, like reading a dream from which I do not wish to wake. 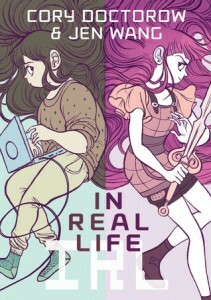 In Real Life by Cory Doctorow with illustrations by Jen Wang centers on an online multiplayer game, Coarsegold, where Anda plays on a guild and gets selected for missions to keep cheating gold-farmers and unfair play at bay. But Anda is soon reminded that avatars represent real people with real stories and real problems. Anda gets caught up in a layered game plan to try and help her gold-farming Chinese friend beat poverty and gain a better (real) life. With a bright palette of vividly drawn glimpses into the gaming world and its real world counterparts, In Real Life boldly illustrates economic consideration and draws out the idea of extending fairness and friendship beyond the screen—and page—to a thoughtful call to action. Modern Romance takes a look at the way dating and looking for love have changed over time, namely due to technology and how it’s affected the ways in which we connect. 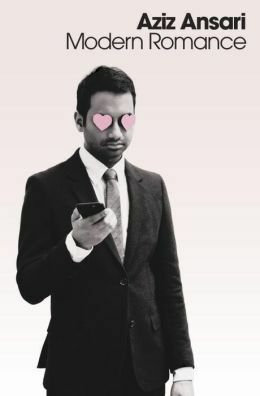 It’s funny, because it’s Aziz Ansari, (and listening to the audiobook gives you that extra Aziz/Tom Haverford “cuddle like little bunnies” kind of narration). It’s also really interesting, and I especially found the opening chapters to be a strong blend of well-researched insight mixed with humor. Taking a deeper look at the now-and-then contrast of dating and marriage between generations and genders leads to questions of choice, and how having more options and more ways to connect isn’t necessarily a solution. I was surprised by some of the stats, and even concerned by others. Some scenarios really made me think about how digitally dependent we’ve become. I felt somewhat unsatisfied by the concluding chapters, or hoped for them to feel more hopeful. Perhaps this is because we read with our own lens, and I was disappointed by the brief focus on companion love as a long-term narrative. I understand that the point of the book was to provide a wider scope, however, and Modern Romance does this—compiling lots of research and responses into a collection of interesting angles that make you look again at what love looks like today.